We’re starting off 2017 with good news! HUD has announced their Homeless Continuum of Care (CoC) funding decisions which will include an 18% increase in homeless assistance funding from HUD in Contra Costa over last year. We also have lots of good work ahead of us as we gear up for the annual Point in Time Count January 26th and 27th, continue to fundraise for the Contra Costa Housing Security Fund and implement Coordinated Entry to simplify how people without housing get connected to the appropriate homeless services in our community. Read on for much more! Each year in January, Contra Costa’s Homeless Continuum of Care (CoC) conducts a comprehensive point-in-time count of families and individuals experiencing homelessness. 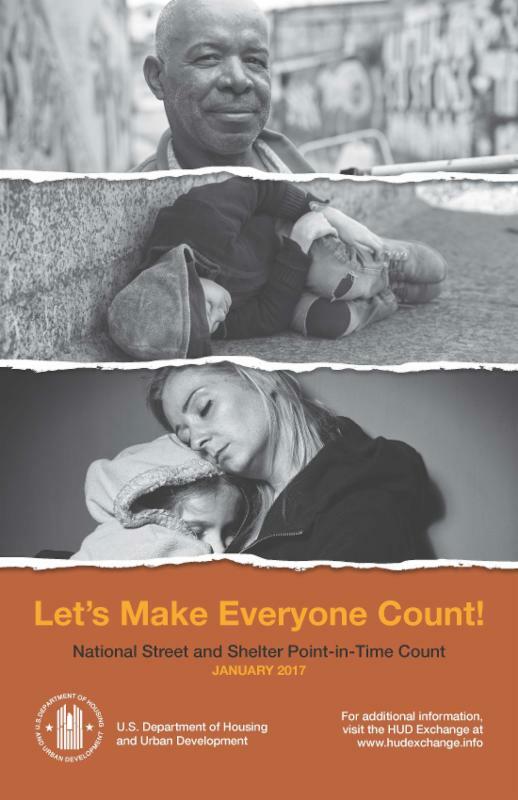 The point-in-time count tallies information about people sleeping in emergency shelters and transitional housing as well as people sleeping in cars, in abandoned properties, or in other places not meant for human habitation. It provides a one-day snapshot of homelessness and includes data about families, youth, chronically homeless, veterans, as well as gender, ethnicity, and race. We need volunteers to help survey people throughout the county on Thursday, January 26th and Friday, January 27th in the morning and afternoon. If you are interested in volunteering, please sign up by Wednesday, January 18th by clicking here: https://goo.gl/forms/OECeBMxEBTJmT6JI3 . 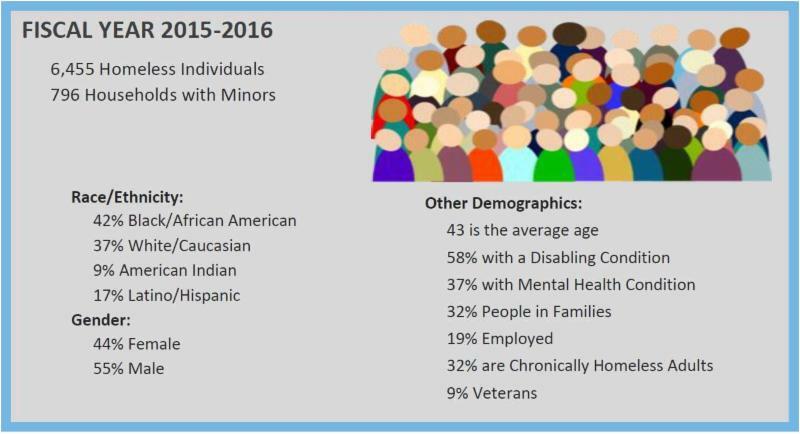 The 2015-2016 Contra Costa Homelessness Continuum of Care Annual Report is available! This report aggregates data from a variety of sources to identify current demographics of the homeless and at-risk population in our county, service use, system performance, successes and opportunities for improvement for the Continuum. The awards for the 2016 CoC Program Competition have been published. Our continuum received $13,076,992 , an 18% increase over last year! This funding will support housing and services programs already operating. Contra Costa Coordinated Entry Expansion, which will support much needed growth of our coordinated entry system as we launch in early 2017. You can see HUD's announcement of the awards made to each of the projects in Contra Costa at: https://www.hudexchange.info/onecpd/assets/File/2016-california-coc-grants.pdf . We are CA-505. 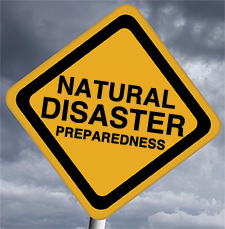 Does Your Agency Have a Disaster Plan For Your Clients? W hen a disaster strikes, the clients your agency serves may be the most vulnerable. A re you prepared? HUD recently released a report called "Send Red, Not Blue: The Homeless Resident" to guide homeless services providers in ways to best meet the unique needs of homeless clients in a disaster. Homeless persons may be the first affected. A disaster can affect families and individuals experiencing homelessness long before it begins, especially the onset of large storms that may cause damage. Once an outlying storm makes landfall, people living on the streets or in encampments are exposed to the rain and wind. Often they have nowhere to go, as disaster shelters may not open until more severe weather occurs. Homeless persons may be among the most severely affected. During the course of a disaster, individuals and families that are homeless are more likely to be severely affected and are likely to have a more difficult time recovering from the event. Homeless persons may miss out on eligible disaster resources. During recovery, emergency service providers report that homeless persons may “fall between the cracks” of recovery efforts. Interpretation of eligibility criteria, e.g., distinguishing between postal address and proof of residency, often presents artificial barriers to available resources. Identify a lead person and form a committee to develop a Disaster Plan (include people with lived homeless experience and stakeholders with disaster experience). Build partnerships with Emergency Management Organization; understand each other’s roles and responsibilities and ensure people experiencing homelessness are considered in the planning, response and recovery process. Identify the strengths and needs of the homeless services agencies before, during and after a disaster. Create a Disaster Plan; recommendations and a community sample can be found in the linked document below. Require a Disaster Plan when contracting with organizations. Include disaster planning as a standing agenda item at Continuum of Care meetings. Train staff on the Disaster Plan and roleplay disaster scenarios. 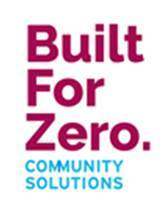 The national Zero:2016 campaign to end chronic and veteran homelessness has been re-named "Built For Zero". The Contra Costa campaign is continuing with great success. Contra Costa is one of three communities in the nation to reduce veteran homelessness more than 10% in the last six months! In addition to being able to identify every homeless veteran, our community now can identify every chronically homeless person in our community. Having this information allows providers to better understand who the most vulnerable members in our community are and better connect them to the appropriate services. For more about the local Built for Zero campaign, go to http://cchealth.org/homeless/council/zero2016/ . For the most up to date information about upcoming meeting date, times and locations check our Google Calendar at http://cchealth.org/homeless/council/calendar.php . The next Quarterly Continuum of Care meeting will be a panel discussion on Youth and Homelessness and will include representatives from education, probation, youth homeless services and human trafficking prevention. For the most up to date information about upcoming meeting date, times and locations check our Google Calendar at http://cchealth.org/homeless/council/calendar.php. We are confident we can reach our $50,000 goal with your help! I n partnership with the Richmond Community Foundation, Contra Costa is building a fund to help address many of the barriers people transitioning out of homelessness face, including deposits, credit check and other startup costs. The Contra Costa Housing Security Fund will be able to cover those costs and also offer financial benefits to landlords who offer our clients an opportunity. The fund will be managed by a well-established community nonprofit and all participants will be pre-screened. To donate, go to tinyurl.com/HousingSecurityFund or send a check to the Richmond Community Foundation @ 1014 Florida Ave #200, Richmond, CA 94804 (In the memo section, write “Housing Security Fund”).